When a claimant is disable and applies for Social Security Disability Insurance (SSDI) benefits, they will typically submit an application, which will be denied. The vast majority of all applications are denied. At this point the claimant is required to file a request for reconsideration if claimant wishes to continue with the process. While the Social Security Administration (SSA) would not state this is a policy, the agency probably hopes that some claimants will drop out at this stage in the process as the agency does not have enough money in the disability fund to pay benefits for all disabled claimants. While claimants could hire an attorney at this point, many decided to try to handle the matter on their own and this is probably not the best idea. The system is set up in such way that it is very difficult for an unrepresented claimant to succeed. As our Boston Social Security Disability Insurance (SSDI) benefits attorneys can explain, the system is also set up in such a way that that claimants will not have to pay any legal fees unless they are successful in obtaining disability benefits. A recent article from the Wisconsin State Journal discusses why it is good idea to seek assistance when applying for Social Security disability benefits. As discussed in the article, an experienced attorney can assist with filing the initial application or with the appeal process that starts with the initial denial. One important point addressed in the article is that while the SSA allows you to be assisted by a “non-attorney representative,” there is no real benefit in choosing to hire one. First, as discussed above, there is no financial benefit for doing so because you will not have to pay an attorney unless you are successful. The system states that the representation fee is limited to 25 percent of the past due (retroactive) benefits to which you are entitled. The representation fee is also limited to a maximum of $6,000 in any particular case. Your representative will be paid this fee by SSA only after your application for benefits has been approved. While some claimants might think they will save money by hiring a non-attorney representative, this is not correct because the fee paid by SSA is the same whether the representative is an attorney of not. Statistics show that around 66 percent of all initial applications are rejected. Once the application is rejected, claimants have approximately 60 days to file a request for reconsideration. This process can be done by filing a paper form or by filing it online. Once the claimant has filed the application and the written request for reconsideration, it will take approximately four months for the next denial letter to come in the mail. The next letter will most likely be a denial since nearly all requests for reconsideration are denied. Claimant must then file a request for a hearing before an administrative law judge (ALJ). Claimants are better served with an attorney representative at the hearing process for several reasons. The definition of disabled according to SSA regulations is far different from what a claimant would consider disabled and it is also often far from what the claimants’ treating doctors would consider disabled to mean. Most cases start with a claimant getting a letter from his or her treating physician that says claimant is disabled and unable to do any work. 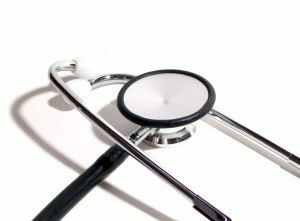 If the doctor is familiar with the system, he or she may include a list of limitations explaining how claimant is unable to do certain necessary work functions such as lifting, crouching, standing, or even sitting. While this makes sense from a medical perspective, the SSA will have so-called vocational expert (VE) at the hearing who will use an archaic set of guidelines developed in the 1970s and last updated in the 1990s known at the Dictionary of Occupational Titles (DOT). The DOT contains a list of jobs that were available one time in the local or national economy and says what the necessary physical abilities to supposedly be able to do one of these jobs. For example, a claimant may have been working as an iron worker making over $100,000 a year before becoming disabled. Claimant can no longer work and applies for disability benefits after having a massive heart attack. The VE may testify to a hypothetical that a worker with a left ventricle ejection fraction (LVEF) the same as the claimant could work as a cashier part time for minimum wage and is therefore not disabled. A cardiologist might that claimant is at high risk for heart failure with such as LVEF, but VE and a doctor hired by SSA to consult will argue claimant is not in any way disabled and deny benefits. These doctors are supposed to be independent as well, but they way they are hired to “consult” is by being on a list of doctors used by that ALJ or by the SSA in general. These doctors often do not have a private practice and this may be their only source of income similar to doctors who consult for insurance companies in workers’ compensation cases. While it would never be said, if they do not make the agency happy as often as reasonably possible, they might be on the list for much longer, and if they are, they may not be selected all that often either. If claimant does not have an attorney representative at the ALJ hearing, it will be very difficult for claimants to challenge this evidence presented during the hearing because an unrepresented claimant does not know the system and does not know the guidelines. The best thing a claimant can do is to speak with an experienced Boston disability benefits lawyer prior to filing for an appeal. This does not mean that every claimant who is represented will be successful, but as noted in the article, records indicate that claimants who are represented have a far better chance of obtaining a disability benefits award.